Garmin provides a wide selection of wearable devices many of which provide a comprehensive set of measurements for monitoring a subject’s health. Medixine’s product Medixine Suite is a cloud software program for remote monitoring and patient communication. 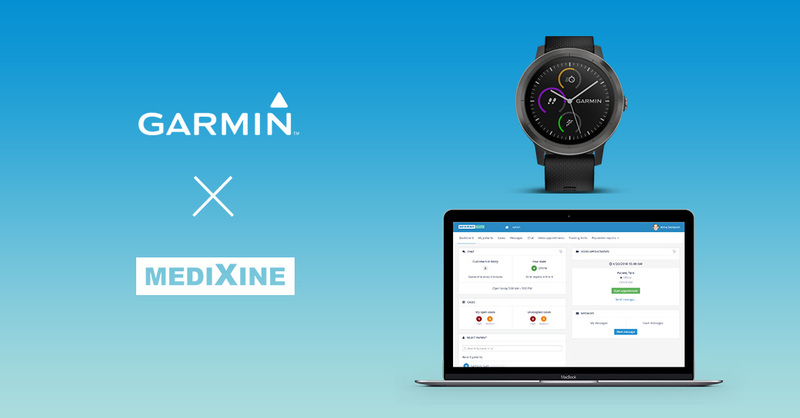 Medixine has now integrated Garmin devices to its platform and Garmin and Medixine are together looking for customers for the new combined offering. One of the potential uses of Garmin devices connected to Medixine is patient screening based on pulse and pulse wave variation. “Using Garmin devices has already raised a lot of interest in customers in several countries”, says Tapio Jokinen, CEO of Medixine. “Medixine adds immediate value to Garmin products and, is enabled by our interfaces and the Companion SDK for real time stream of wearable data, we are jointly working on several interesting use cases within the healthcare and welfare industry.”, says Juha Villanen of Garmin Health.